I called this digital collage Because I Can with Skulls. It seemed like a good idea at the time. I put it in my Etsy shop as a limited edition, signed and numbered print. 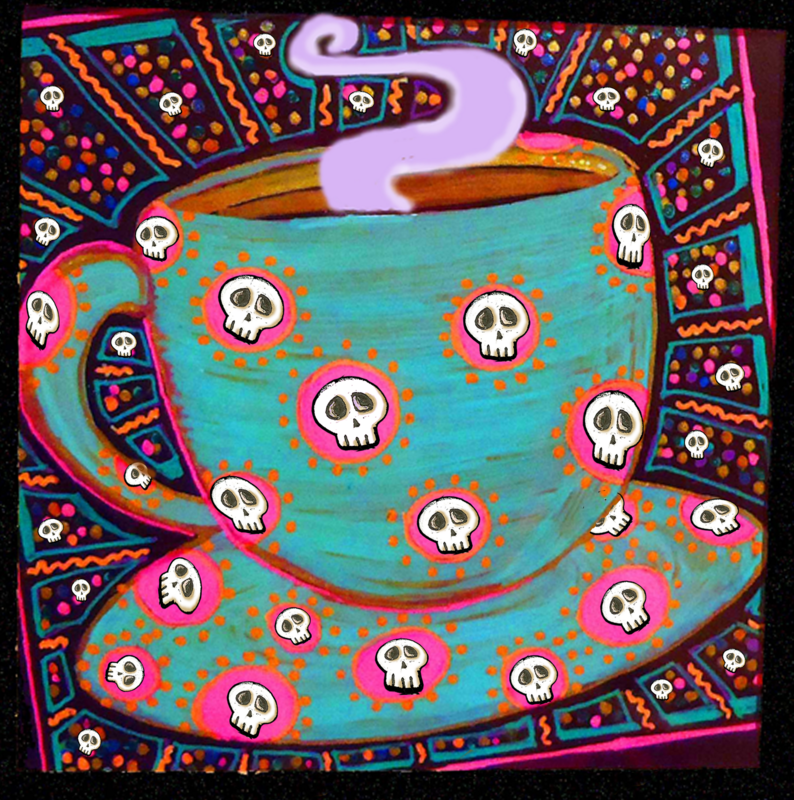 I love skulls on things! I want them everywhere! Because I can. That's one of my favourite all-time reasons and responses!! BEcause I CAN!!! Thanks for visiting 366 Daze of Grace. We just returned from a walk in the rain. this is so whimsical and fun!